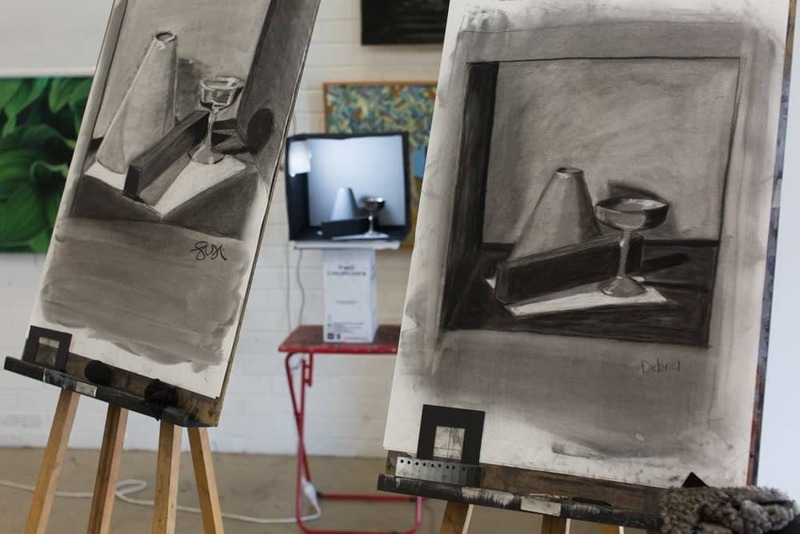 FOUNDATION DRAWING 1 is a 7 week class designed for complete beginners and the more experienced artists who wish to revisit the fundamentals of drawing. You will work through a series of practical exercises to develop your understanding and skills in a logical and achievable way. Each week will develop on the previous class with an emphasis on building confidence, developing observational and analytical skills, and material exploration. There is one life drawing session within the term to introduce and explore figure drawing. 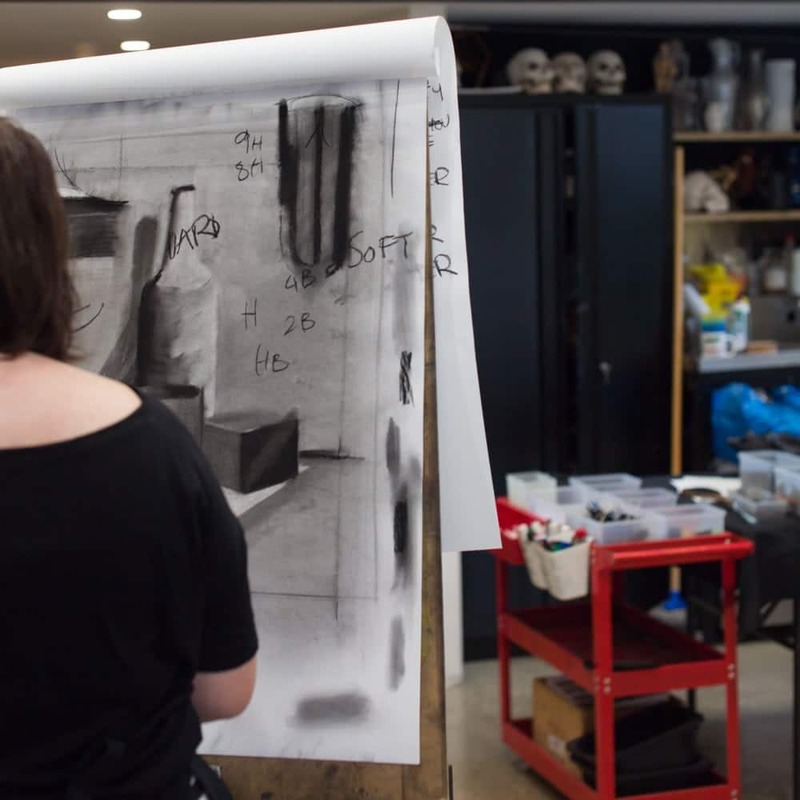 Following this course with Foundation Drawing 2 consecutively gives you a comprehensive foundation and the confidence to explore drawing further on your own or in one of our Open Studio classes. We recommend taking the foundation courses consecutively: FD1, FD2, FP1 and then FP2. Erika Gofton is a professional artist working with both painting and drawing in her practice. She established The Art Room in 2010 and has over 20 years exhibiting and industry experience, including teaching drawing at the Victorian College of the Arts. Erika is particularly passionate about teaching drawing and wants to share that passion with her students to so they may learn how to more effectively communicate through drawing and connect to their own visual language. 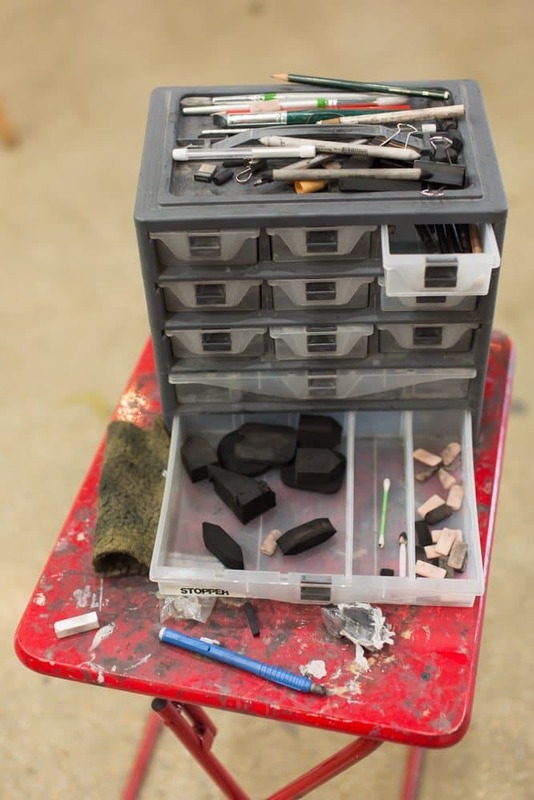 In 2013 she undertook the Drawing Marathon at The New York Studio School in New York whilst on a residency in Brooklyn and met with drawing educators from London Drawing and The Campaign for Drawing in London to research and experience different drawing programs to bring back to share through The Art Room. Erika has a Bachelor of Fine Arts degree and Post Graduate Diploma of Education. 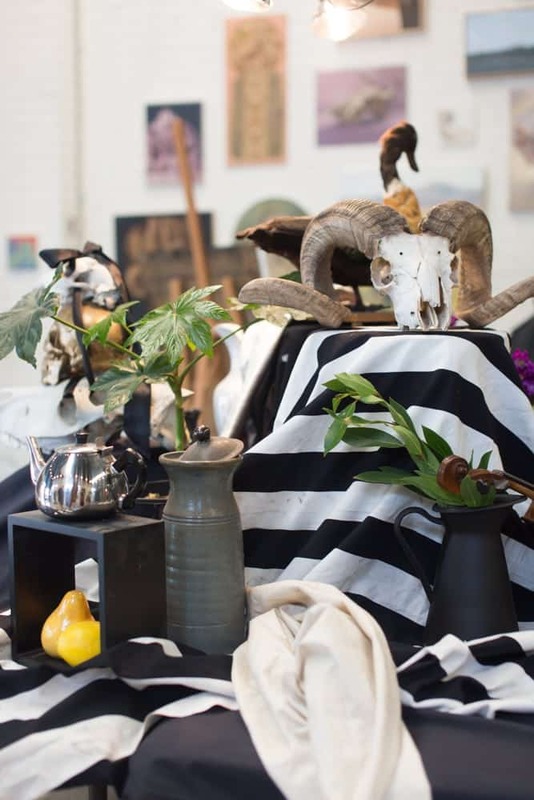 She has held solo exhibitions in Melbourne, Sydney and Queensland and has exhibited in numerous group and curated shows. In 2012 Erika won the Toyota Community Spirit Travel Grant and undertook a residency in New York at Point B Worklodge. Whilst in New York she received a scholarship to complete the Drawing Marathon at The New York Studio School. She has been selected in numerous prestigious prizes including a finalist in the Adelaide Perry prize for Drawing, The Paul Guest Drawing prize, the EMSLA, Sunshine Coast Art Prize, Mosman Art Prize, R & M McGivern Prize, the Redland Art Prize, the City of Albany Art Prize, winning people’s choice in 2012. Erika is represented by Dickerson Gallery in Sydney.